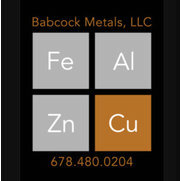 Babcock Metals began in Atlanta in 2001. 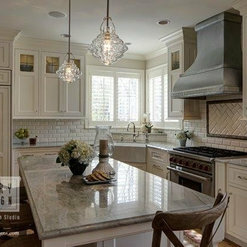 Founder Rob Babcock quickly became known for his kitchen hoods, counter tops, sinks, handrails, and ornamental iron work. After finding success in Atlanta’s high-end home market, Rob and his wife, Amy, moved the company to a small town at the base of Utah’s Uinta mountains in search of new challenges and opportunities. The Babcocks have purposely kept their company small in an effort to ensure that each client receives the quality and attention to detail that the Babcock name has come to represent. Babcock Metals products are meant to last. When not in the fabrication shop or on a job site, the Babcocks can be found in the mountains, hiking, biking, skiing, and gathering inspiration for their next project. Babcock Metals can ship hoods and other products anywhere in the country. 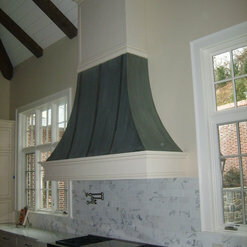 When we first saw a range hood previously made by Babcock metals, we knew that we wanted them to make our range hood also. We live in Georgia and Babcock metals is located in Utah. At first we were concerned about such an important centerpiece to our kitchen being made out of state. 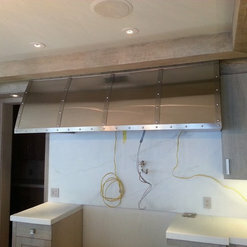 Working with Babcock metals to fabricate a custom range hood was seamless from start to finish. Communicating via emails, we were able to design the exact range hood for our needs. Rob corresponded with our builder to get specs for the project, our range hood was built and then shipped for installation. We had questions about across-the-country delivery of such a large item but the packaging was done in such a way that there was no damage to the hood during transport. Rob was even available by phone on the day of installation to answer any questions that came up. 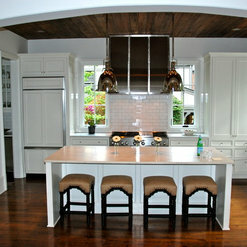 We could not be more pleased with our new range hood. Babcock metals is able to adapt to most styles. I asked for a contemporary, raw steel look with different riveting and received exactly what I wanted. They were easy to work with. On time. High Quality. 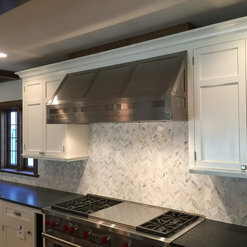 I hired Babcock to create a one of a kind zinc hood. They took the time and enegery needed to understand our project and the complexities. They are as genuine and talented as they are responsive and professional. They kept me updated with texts and pics and phone calls along the way. We love our hood as much as the company that created it! If you are reading this you are considering Babcock metals for a project. Please do yourself a favor and hire Rob. 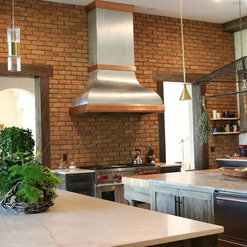 Rob was a very important part of a unique project for an 8 mill authentic period style custom home that had 100% custommetal work throughout. Rob's copper work, although functional, was a true work of art. I am the owner of this home and still find myself staring at the artwork and appreciating it often. Rob's character and attention to detail is hard to value. If you want a product you can appreciate for a lifetime Rob is your man. Please feel free to use me as a reference as I have only 100% positive feedback to give Babcock metals. Brian Askew. We are thrilled with the stainless steel hood made by Babcock Metal Works. It is the “wow” factor we were looking for and constantly get compliments. The hood arrived in perfect condition, exactly to our specs, and was easy to mount. We’d recommend Babcock to anyone who is looking for a one of a kind piece. 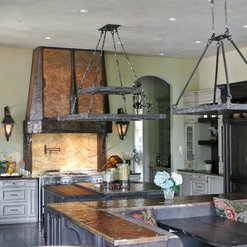 Rob was amazing on the construction of our copper hood and huge iron chandelier. He helped me design exactly what I wanted and skillfully crafted two beautiful aspects of our home. I loved his artistry and craftsmanship and would highly recommend him to anyone looking to add a cherished feature to your home! Babcock Metals is the Best of the Best. After seeing Rob's hoods in Veranda and several other magazines we knew we wanted him to make/design the hood for our kitchen. 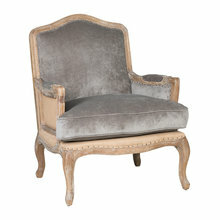 He is very detailed craftsman with a great eye for design. 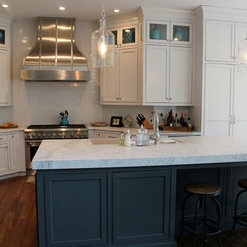 The hood is the focal point of our kitchen and is always a conversation piece with our guests. Rob and his staff are very professional and accommodating. He was the easiest person we worked with throughout the design process and building of our home. We had contacted a local person to build the hood however Rob could build the hood in half the time and was less expensive. We are 110% satisfied and highly recommend. 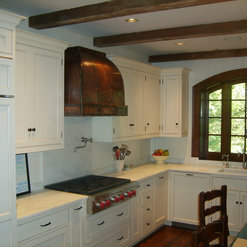 I have used Babcock Metals on several occasions for creative design solutions. The attention to detail is incredible. From the design aspect to the final product I found Babcock Metals unbelievably responsive to my ideas and received great customer service. 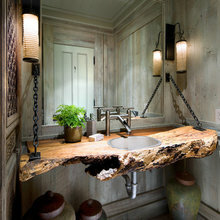 The owners knowledge of metal and artistic design is unsurpassed. I would highly recommend Babcock Metals. Rob, does an outstanding job getting his work done on time with the best of detail. He also has great design sense. 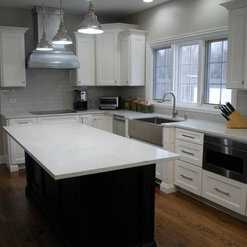 We have been so happy with all of the work he has done for us which have included: Planters , table, hood and backsplash. He is excellent!! We hired Rob to design, manufacture and install railings for our indoor stairways. He asked for input and came up with the design from our conversations and on-site visits. The railings are unique to our home, very tailored, understated and strong in appearance, and invite you to look further into the detail. 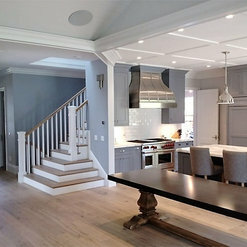 We could not be more pleased and appreciate his consultative approach while using his own design expertise in coming up with a truly unique look for our home. Rob Babcock and his team are the ultimate craftsman and epitome of professionalism. Beyond being creative and masterful in the design process, they are problem solvers. We've been impressed with every aspect of the work they've done for our coffee roastery and our coffee house from tables to steel baseboard to countertops and table bases repurposed from 40 year old railings. 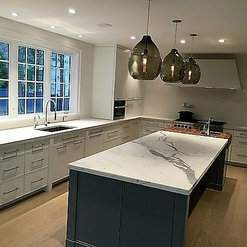 Their fingerprints are all over our two locations and we are constantly asked about the magicians that are part of Babcock Metals because of the quality and the beauty.